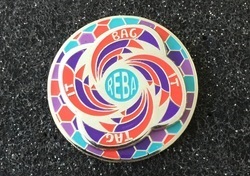 This is a Phish pin paying tribute to the song "Reba". This limited edition pin is a spinner pin, has glow in the dark enamel and measures approximately 1 1/4". It's double posted and numbered out of 100.